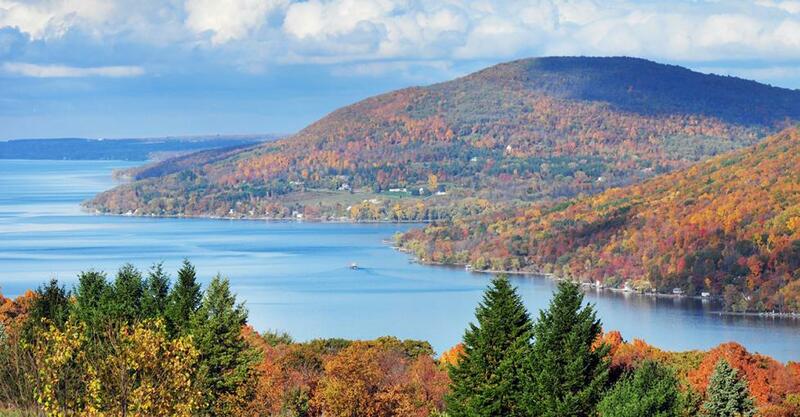 The Finger Lakes Region is stunning all four seasons of the year – but it’s the red, gold, and orange of fall foliage that is most eye-catching. 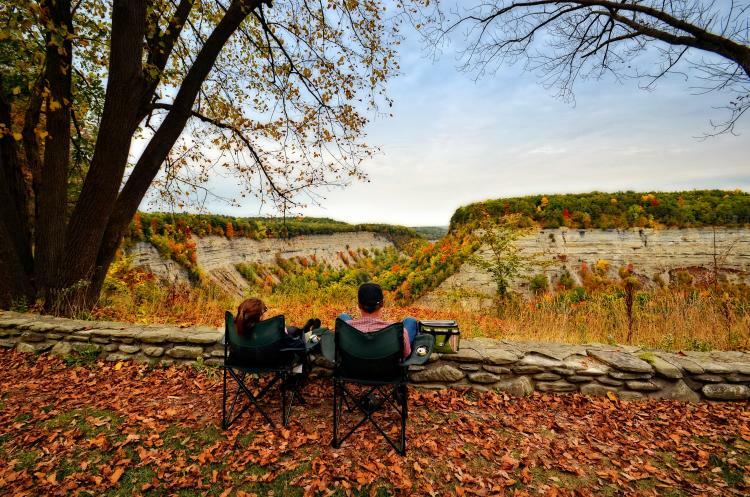 From high above the tree tops to nature trails and overlooks, these are some of the best places to leaf peep in the Finger Lakes. Take to the skies for a unique perspective of the turning trees. 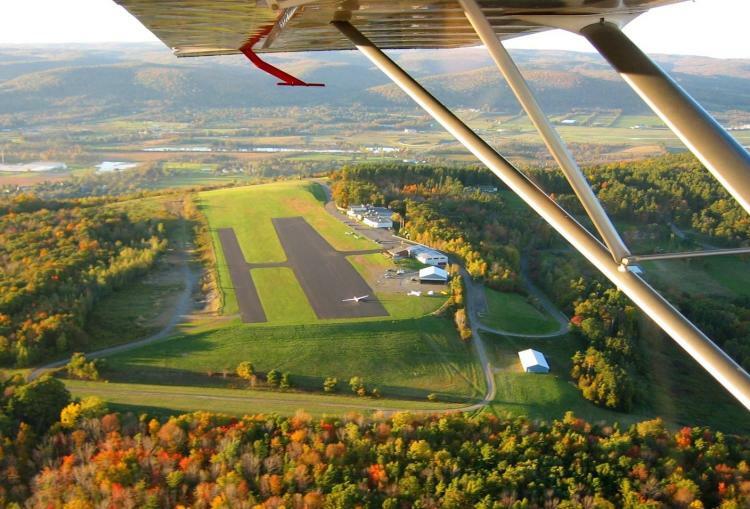 Enjoy a silent, scenic flight over the rich rolling hills of Chemung County with Harris Hill Soaring Corporation. Or soar high above Keuka and Seneca Lakes as they lay draped in the colors of fall with Costa Flying Service. Choose your own journey with flights ranging in length from eight minutes to over two hours. These are some of the most spectacular sights – so bringing your camera is a must! Bristol Mountain is bursting with ways to enjoy the seasonal shades. On weekends in October, Fall Sky Rides offer a tranquil ride to the summit of Bristol Mountain exposing the Bristol Hills and valley below in its autumnal splendor. Or climb your way through the changing forest canopy at Bristol Mountain Aerial Adventures, where seven different challenge courses await, ranging in difficulty. True thrill seekers can choose the three-hour Zipline Canopy Tour to zip and hike through the colorful course. On the eastern side of the region, Greek Peak Mountain Resort offers Zipline Tours and the High Peaks Aerial Challenge Course with suspended bridges, hanging blocks, horizontal tires, and more! But save room for adventure – their Nor’easter Mountain Coaster will have you cruising down the multicolored mountain. This exhilarating, 4,300-foot descent takes advantage of every peak, dip, vertical drop, and turn. 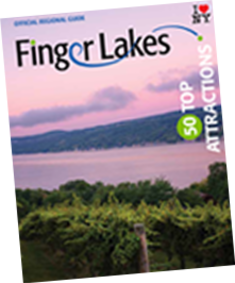 The Finger Lakes regions is covered in over 75 trails for hiking and biking through the crisp, autumn air. You can’t go wrong with any of them – including the 66 miles of trails through Letchworth State Park. Known as the Grand Canyon of the East, the park’s 14,000+ acres come alive with vibrant colors. For impressive views, be sure to stop at the overlooks of the park’s three major waterfalls! Watkins Glen State Park is also home to a handful of trails – the most popular being the gorge path that takes you past some of the park’s spectacular waterfalls. The views get better around every twist and turn especially when painted with fall’s brush. Spend a weekend traveling routes along the lakes that burst with those red, golds, oranges (and lots of purples in the form of inviting wineries) to tucked away, charming little Inns and Bed & Breakfasts with their cozy rooms, wood-burning fireplaces, and evening treats like warm mulled cider and s’mores around an outdoor fire. Find our regional list of Inns and B&B’s here. No matter how you experience fall in the Finger Lakes, you’ll be sure to capture memorable views and a killer Instagram post.